There's a rite of passage that every freelance translator must go through. That is, learning how to spot and avoid potential ‘monster’ clients. If you constantly find yourself in bad situations with clients, it might be because you’re missing the signs of what are really not clients at all — but one species of monster that is always on the hunt for unsuspecting translators. 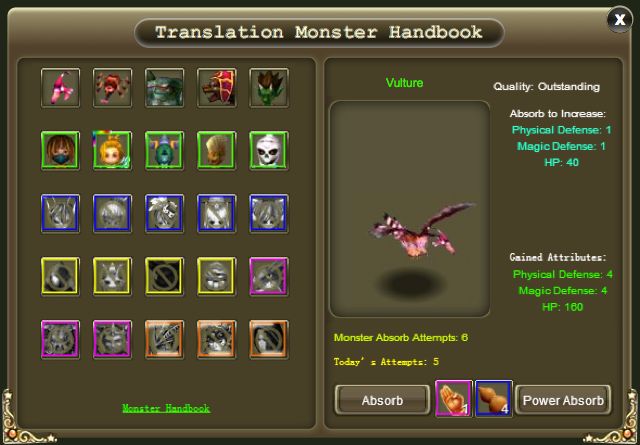 In today’s post, I’d like to offer you a handbook that introduces you to seven of the most common monsters, and what you should do to test the waters before jumping into any translation work with potential clients who express the below qualities. Perhaps one of the most feared monsters in the handbook, these jobs don’t pay you for top quality work until months after you’ve finished. In some cases, unfortunate translators were never paid for their hard work. This client can come in the form of agency work or direct clients, and is not one you want to tango with. In fact, anyone who’s been stung by this creature before will be extra cautious not to be trapped in its snares again. Any first time job with a client should be treated with caution. If it’s a big agency who you know of and have heard good things about, then there’s no need to fear in most cases. But if it’s a name you’re unfamiliar with, it’s a good idea to look into them a bit. Ask around on forums or to translation association lists you might be a part of. Check out their score on the ProZ.com Blue Board. Try to find out if anyone else has worked with them. If not, you should ask for 25% upfront that must be paid before you begin working on the project. Long term agency clients can also go bad. Get to know someone personally at the agency and give them a call every once in a while to ask how things are going. If there’s a lot of stress, layoffs, or revenue worries, you’ll probably want to be on the lookout for late payments. If they have trouble paying you a large fee, ask for it to be financed out over the coming months as it could mean they’re going belly up. Better to at least get some cash while you can than be completely out of pocket because you waited for a full payment that never came. First time direct clients should also be treated with caution. Asking for some percentage upfront is usually enough to guarantee that someone will become a paying client. To the untrained eye, a simple unpaid test seems like a reasonable request for a cautious client to make in order to determine a translator’s quality. But be weary of any job offer that includes an unpaid test before you get started. The test could very well be a way for a bad client to piece together a free translation. Remind the potential client that you’re a professional. You have a body of work and recommendations that prove your quality of work, so send that over along with your CV or a link to your TM-Town profile. If they’re still in need of ‘convincing’, tell them any samples they require to be translated will need to be paid upfront. Also, learn what testing scams may be going around at the time and avoid anything that seems suspicious. PEMT (post-editing machine translation) jobs are when the client runs a source text through their machine to get a translation, and then looks for a translator to edit it. While they may mistakenly view this as easier work, most translators view these jobs as being more difficult and time consuming than translating a document from the beginning. Always inspect the document the client needs edited. If it’s going to take you longer than usual and cause more headaches, your rates need to reflect that. You can also pitch them on the fact that your work is an investment for them. They need their machine translation engine to be trained by the best so that it will provide more accurate translations in the future in order for future translators to edit the documents more easily (saving them more money). Thus, your work now is worth a higher rate because they are also paying for improved future benefits. This kind of potential client will likely haggle with you on everything. Why? Because they’re probably looking for a quality that is above their budget. This monster is fairly harmless if you stand your ground. But if you bend to their desires, you’ll be kicking yourself for taking a lower rate. Be honest, and tell the client if they truly want a cheaper translation, they’ll be able to find it for sure. Then, ask them if they’re willing to lose even more money due to having a poorly translated document that doesn’t optimally communicate their message. If they still can’t see the benefits they’ll gain by having your specific quality of translation, politely decline the offer and move on. There are plenty of legitimate rush jobs out there, but there are also rush jobs that have become rush jobs simply because the client has exhausted a list of other translators who have turned the project down. Regardless of which kind you find in your inbox, you need to make sure they’re offering expedited rates. When determining whether a rush job is for you or not, it’s important to first ensure that you’ll be able to provide the level of quality you provide for all jobs. If so, remind the client that in order to achieve that quality and value, you’ll need to work nights and weekends to meet their rushed deadline. Also remind them that when any worker in any industry works overtime, they are compensated fairly for that schedule. Your situation is no different. If they’re not willing to pay you a higher rate, you’ll need to think very carefully about working with them or not. Most likely, it’s not worth the headache. Known for needing very large documents translated, the discount ogre believes this entitles him to some reduced rates. He is, after all, bringing you a ton of work. Isn’t it in his right? Large documents usually require 100% of your professional attention. They’ll probably require time to correct formatting issues, consistencies, and any number of other things to guarantee the quality you’ve become known for. Because you’re able to handle such a large document and provide a translation that is top quality, you should actually be entitled to a higher rate — yet the discount ogre is obliged to think he’s the one in need of a break. In addition to the attention you must put on such large documents, you’ll also probably be stretched thin on your typical business activities such as marketing, networking, and looking for new clients. All of these are grounds for you to negotiate the contract in favour of you receiving your usual rate, at the very minimum. Remind the client of the above, and if they’re unwilling to see eye-to-eye, simply move on. Scylla was the lover of Poseidon who was transformed into a multiple headed, tentacle beast who fed on sailors. But all those heads probably made her a bit indecisive! Much like some clients who continually change their source text every few hours, causing you major headaches if you've already begun translating. "This client kept sending me a new version of their text every few hours. So in addition to trying to make the deadline, I had to waste time reviewing the parts that I had already translated, to see if there were changes I had to make to match the new versions of the source text. Very exhausting!" You should adopt a policy that one change is fine (up to some word limit), but any additional changes to the source text will actually count towards the total word count, meaning that yes, the client can make changes, but it will cost them. If a policy like that is in your agreement before you get started, it should help the client finalize any texts they send your way. If anything, I hope this handbook has reminded you that both in dark corners and in broad daylight, there are numerous monsters lurking about, looking for their next unsuspecting victim. If you’ve enjoyed this bit of Halloween season fun, please take a moment to share it around! You can use the share buttons on this page or copy and paste the link in an email to some colleagues. Also, this is not an exhaustive list, so if you wish to add your own knowledge of a monster that deserves to join the ranks of those above, kindly send me an email to nate@tm-town.com. I’ll add it to the handbook and also provide a link to your own personal website. If you prefer, you can simply leave it in the comments below. Germany Posted over 3 years ago. Great article! A lot of valid points that I'll make sure to remember. Salute from a new bee. Really helpful and I am going to digest it. Thank you! Hi Jiong and welcome! Glad the list was helpful for you. Let me know if I can ever help. Romania Posted over 3 years ago. Hi, very pertinent overall. Regarding Monster #6 — The Discount Ogre, I also say them not to expect bulk sales-type discounts as, in this field, each extra text character means typing an extra character. They understand this. What I do not tell them is that having all the eggs in one basket means an increased risk resulting from neglecting several, less important clients, who can provide a more uniform work load on long term. Kyrgyzstan Posted over 3 years ago. France Posted over 1 year ago. I have a nasty variant on the monsters above: a client with several companies in different European countries which ordered a job via its French subsidiary, for delivery to that subsidiary, and then protested that since all its accounts were in the UK, it would not accept billing with VAT since it wrongly maintained that actually an Intracommunity transaction was involved. This is sheer shenanigans: the country of both order and delivery was France, and therefore VAT was chargeable to the French subsidiary by its supplier, my French umbrella-company employer. In addition, to the best of my knowledge, that rogue VAT-kiting company (a Pterodactyl?) still owes the employer in question a thousand euros net of VAT, hard-earned on the sweat of my back. I can supply name and "pack drill" on a need-to-know basis. Clue: the rogue's HQ is a pleasant, rather famous provincial English town, and its website is plausibly "natty" (period slang for elegant). Your article is well-constructed, colourfully phrased - and helpful. Long life to TM town, and confusion to all these monsters! Finland Posted 10 months ago.